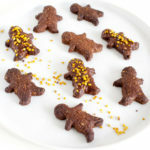 Gingerbread men cookies - paleo & vegan - NOURISH TO PERFORM. 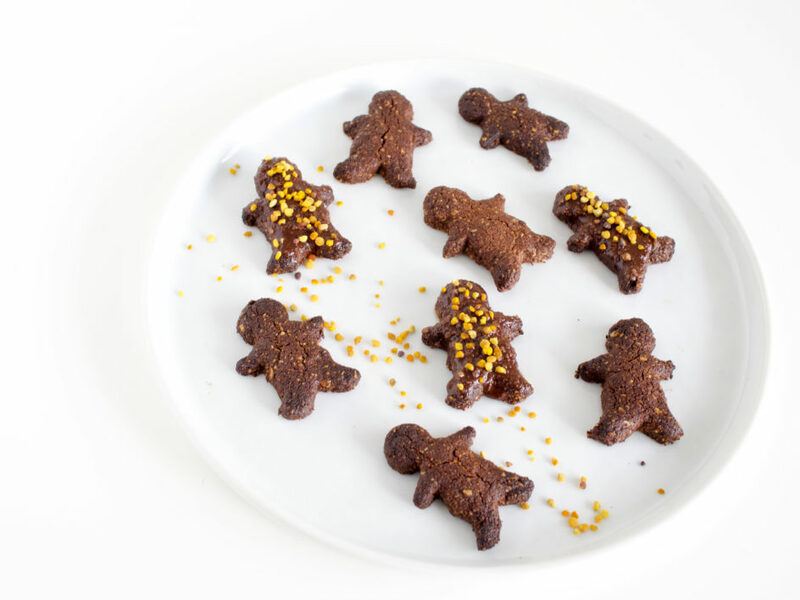 Let’s kick off Christmas cookie season with those delicious paleo and vegan little gingerbread men! I am a big fan of gingerbread spice and love to add it to almost everything. So of course, I had to make some gingerbread men. Packed with healthy fats and a fair amount of protein these cookies are a great healthy alternative to your conventional Christmas treats. Using yacon syrup * is not only a great lower glycemic option but also lower in calories than honey or date syrup. And it also has a lot of health benefits, especially for your gut. The caramelly flavor is perfect for baking gingerbread men and gives the cookies sweetness. If you have a really sweet tooth, you can also consider adding some stevia. Preheat oven to 180°C. Line 1 baking sheet with parchment paper./Den Ofen auf 180°C vorheizen und ein Backblech mit Backpapier auslegen. Mix all ingredients in a bowl, then take about two tablespoons of dough and press them flat with your hand. Use a gingerbread man cookie cutter to cut the dough into shapes. Repeat until the dough is used up./Alle Zutaten in einer Schüssel vermengen, dann etwa 2 EL Teig mit der Hand flach drücken und mit einem Lebkuchenmännchen Ausstecher Kekse ausstechen. Wiederholen bis der gesamte Teig aufgebraucht ist. Bake for about 15 minutes and let cool down completely before decorating./Für etwa 15 Minuten backen und vor dem Dekorieren komplett auskühlen lassen. All products with * are affiliate links. If you want to support me without paying extra money, you can purchase my favorite products through these links. This will enable me to continue providing you with content and help to grow my blog.